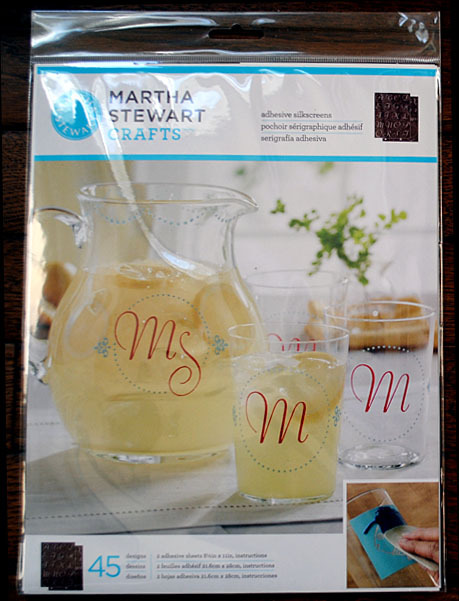 I’ve been playing with the Martha Stewart Adhesive Silkscreens again! 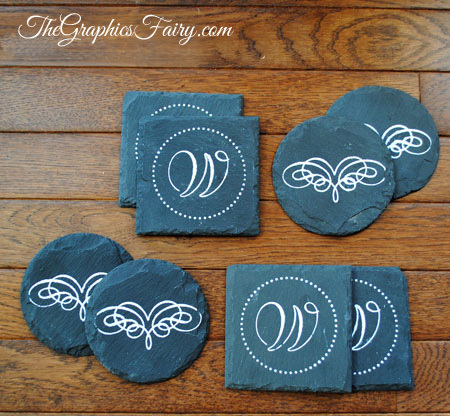 This time I used the Elegant Alphabet & the Calligraphy Flourishes to create these fun Faux Chalk Art Coasters! 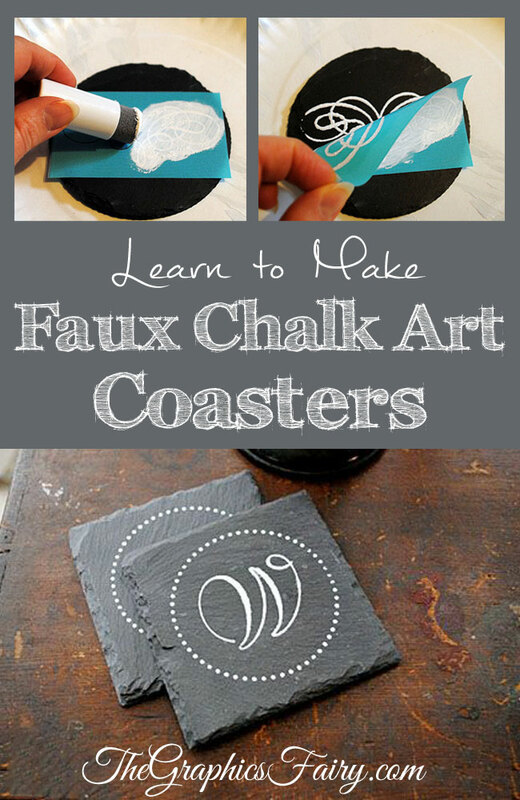 If you’re like me, and you love the look of Chalk Art, but can’t pull it off with um … actual chalk .. you will love this easy project! 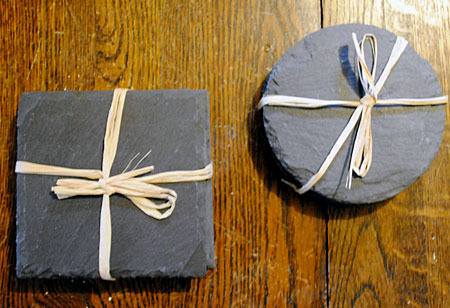 I found these sets of 4 Slate Tiles at Michaels, for $2.99, the come in a set of 4, and you can choose from round or square. 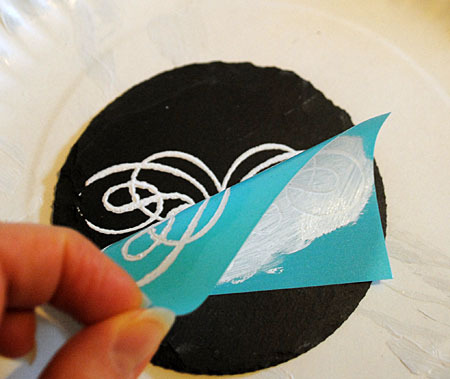 Step 1: Apply the Adhesive Silkscreen, really all you do is stick it on the tile. So easy! 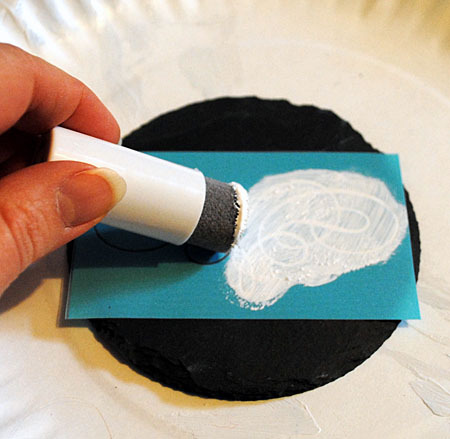 Step 2: Apply the paint using a foam pouncer. 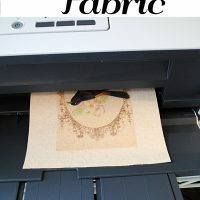 Step 3: Remove the silkscreen immediately and make sure you wash it right away, so that you can use it over and over again! Let your project cure for 21 days and it will be waterproof! 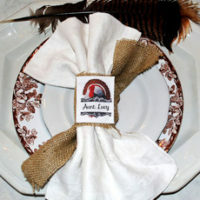 I think these would make great gifts, maybe for a house warming or a bridal shower! I hope you enjoyed this project! *I was not paid for this project, however I did receive free product. This post contains affiliate links. Thanks Doreen!! It was so nice to meet you at CHA! I like these- a lot! But you may want to line them with self stick felt so they don’t scratch surfaces – or maybe they come that way? I forgot to mention that Abbe! They came with little rubber bumpers on the bottom! These are fabulous ideas for gifts! Thanks Dawn! I think so too, especially the monogram ones! I love those silkscreens – I’ve been stenciling up a storm myself! 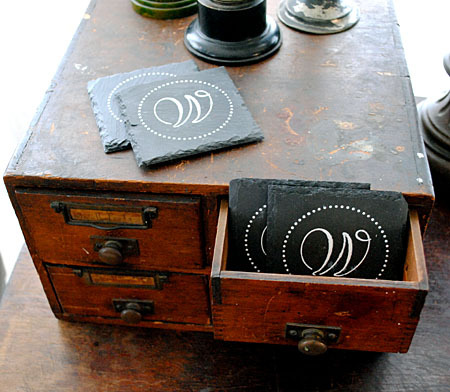 And I am all over those coasters! They are addicting aren’t they?!! You can make anything pretty with those things! These are so pretty, Karen! I love the font. I must play with those silkscreens soon. 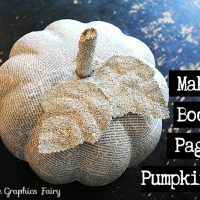 I tried once awhile back on burlap and it was a big fail. You have inspired me to try again! Yes, give it another try Johnnie, I love them! I actually used the snowflakes on burlap and they turned out pretty well, so maybe it depends on the design. That’s great! I’m sure they will appreciate the gift that much more, since you will have made it yourself! Happy crafting! Karen, these are so pretty! I am creating these for my husband. I have a great stencil that he would like. And, all of the furniture in his man-cave is black leather. These will be perfect for him! Oh, that does sound perfect Cynthia!! He will love them! Thank you for sharing! I can’t wait to try it. Happy crafting Zoica, I think you will enjoy creating these! Hi Karen, I’ve recently subscribed to your blog and love it! 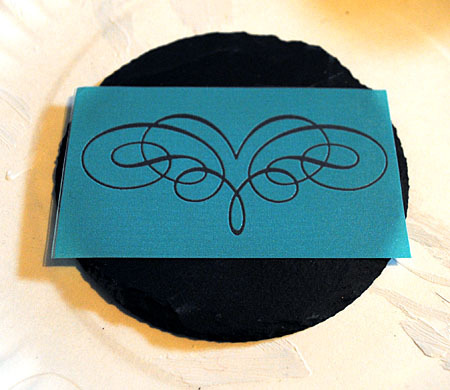 I was inspired by this post and made a set of coasters as a bridal shower gift. I linked back to your blog in my post about it here. Love these! What kind of paint did you use? 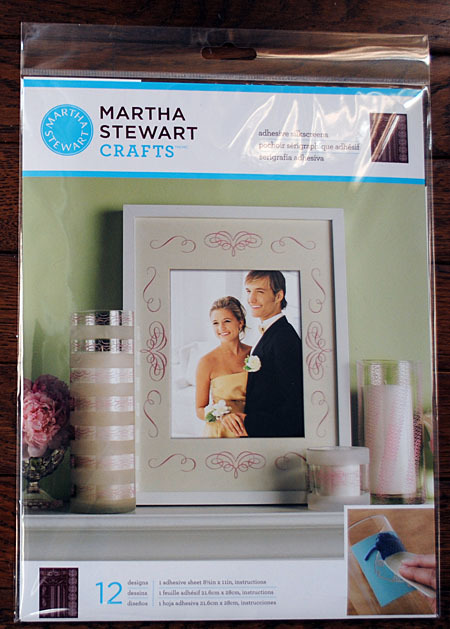 Hi Brittany, The paint that I used is listed in the post, along with the other supplies. I hope that helps! I am in love with these, oh my! Do you truly have to wait 21 days before you can use them?